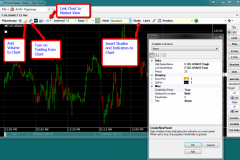 How to Use Charts on the PhotonTrader Matrix. 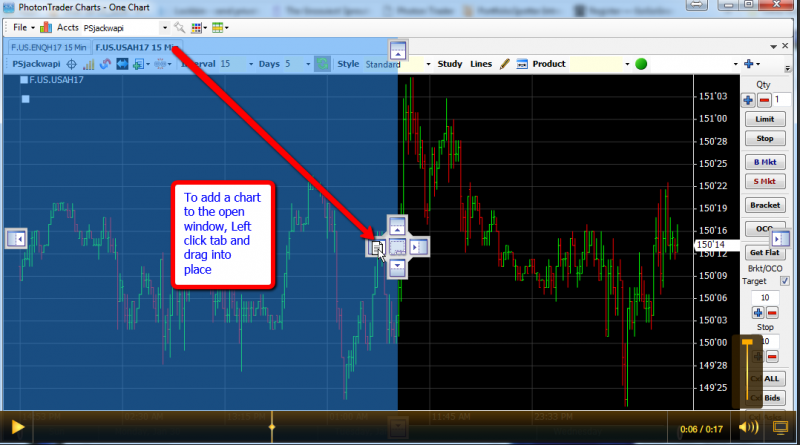 The PhotonTrader Charts are accessed from the Chart Icon on the Photon ToolBar . 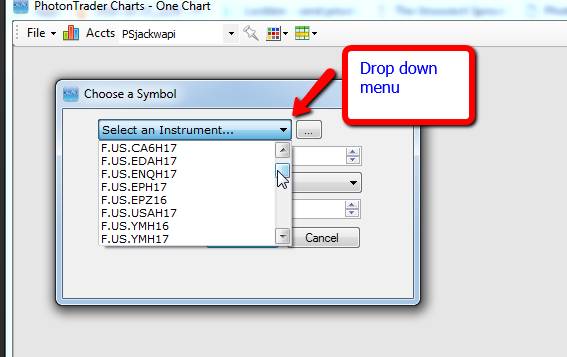 Charts are input by using the New Chart icon, and selecting a market either by using the Drop Down Menu if a contract has previously been called up. 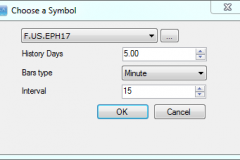 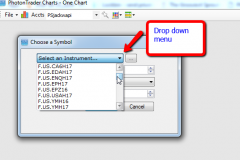 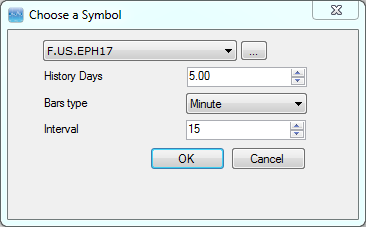 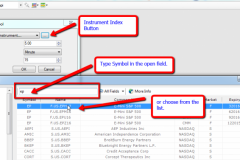 Or by using the Instrument Index button and typing in the Symbol, and clicking Ok.
Once a symbol has been selected, the number of days history, Bar type, and Interval can be input. 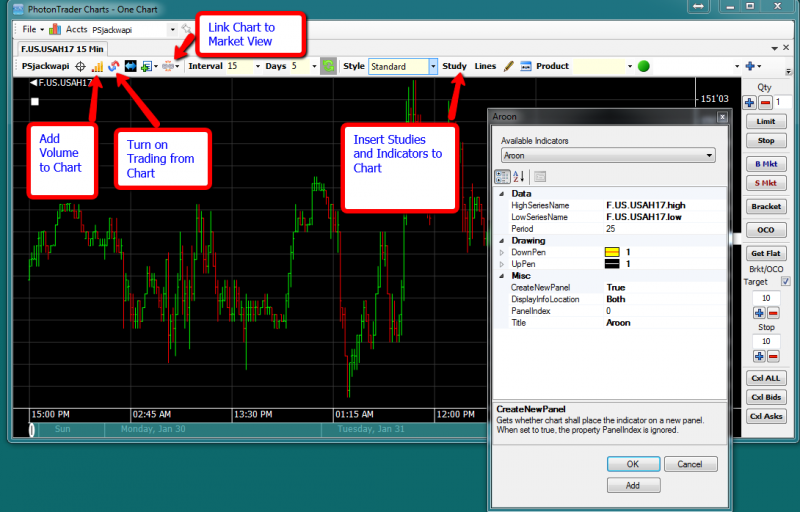 The buttons on the task bar control features such as, Volume, Enabling on the chart trading, linking the chart to the Market View, changing the Style of the bars, and access to the Studies and Indicators. 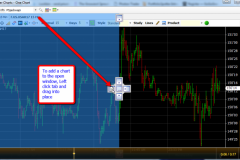 Charts are displayed as Tabs at the top of the window, and can be configured within the chart window by Left clicking on the Tab and dragging the new chart into the field, and dropping into the desired location.